Indian authorities are prepared to spruce up the world famous monument and restore its ancient hue — provided they can figure out just which shade of pale it really was. ALIGARH — There are more than 21 variations of the color white. The Taj Mahal is definitely one of them, but which one? Is it milk white? Egg white? Or Navajo white or pearly white? "It might sound strange to say this of an inanimate building, but every time you see the Taj, it looks different," a journalist wrote in the Wall Street Journal in 2006. "The color of its white marble changes throughout the day, from the waxy yellow at dawn through to the pastel blue-gray of a full moon." The color is changing in quantifiable ways as well. As tourists stand in long lines, day after day, for a chance to glance at the ever-changing moods of the Taj, this 17th-century monument is slowly yellowing, like the pages of an old novel. It is crafted entirely from the white Makrana marble, and began losing its sheen in the 1980s after the air started to become more polluted. To restore its luster, the government has been lathering fuller's earth – a decolorising agent – on its surface since 2008. But it has done little to prevent or delay the Taj's paling. In some parts, the marble has developed a black cast; its rear, which faces the Yamuna, has been stained with the droppings of Chironomus calligraphus, an insect that blooms in the polluted river. In the wake of these changes, the Supreme Court asked the Archeological Survey of India (ASI) and an apathetic Uttar Pradesh government to make amends earlier this year. Shortly afterwards, Mahesh Sharma, the Union culture and environment minister, said that they would use a 'scientific method' to determine the actual color of the Taj. "We have original photographs of the monument that are over 100 years old and the same will be compared with pictures taken after cleaning of the monument to measure the changes," Sharma told the Times of India in June. The distinct color of the Makrana marble would not have been captured in any of the black and white pictures. But what seems to has been forgotten is that 90% of the old Taj Mahal images are in black and white. The oldest photograph dates to 1865, while the colored photographs belong to a much younger period, a senior ASI official confirmed. Even if we get past the fact that the reference images show the status of the Taj 200 years after it was built, Aditya Arya, chairman and trustee of India Photo Archive Foundation, told The Wire, "It is impossible to gauge color from black and white photographs." At the heart of this problem lies the way black and white cameras work. "The old black and white films could capture only the brightness of objects," Arya explained. The silver grains in the film are light sensitive and turn different shades of grey to black depending on the intensity of light they are exposed to. The brighter the object, the darker the exposed parts of the film — and this irrespective of its color. "So the distinct color of the Makrana marble would not have been captured in any of the black and white pictures," Arya said. The Times of India report also says Sharma and his team are going to use color stereoscopy, Victorian-era technique that can enhance the perception of depth in images. It is based on the phenomenon of binocular vision, which explains how animals use two eyes to conceive depth of vision. Both our eyes view objects from a few centimeters apart. The brain combines the two points of view into a single image with a sense of depth. A stereoscope works on the same principle. It lays two images captured with a slight horizontal displacement onto one another using a lens. When you peer into the device, you see a 3D replica of the object in the picture. In that sense, the stereoscope was the first primitive 3D imaging device. After Kodak color films were introduced about three decades ago, the stereoscope even became a means of virtual tourism. People in Europe could peek into a stereoscope and find themselves transplanted into cherry fields in Japan. The technology then trickled down to children's toys. Kids group up as recently as the 1990s may recall peering at 3D images of cartoons by glueing their eyes to a binocular-like object. With the click of a button, the scene would change to the next image on the reel but the effect would remain, every image solid and real. Color stereography predates this era. It is an old and discarded way of producing color photographs using a black and white camera. In one version, developed by Frederic Eugene Ives, the subject is clicked from two different spots roughly 7 cm apart. But instead of normal lighting, the images are made under a red light, a green and a blue light separately. When the six pictures are combined in a special instrument called the Kromskop (also designed by Ives), the result is a colored replica of the black and white picture. "This is because these three primary colors give rise to the entire range of hues that we see," G.V. Pavan Kumar, associate professor of physics at the Indian Institute of Science Education and Research, Pune, told The Wire. If there are black and white transparencies – a.k.a. photographs printed on plastic or glass – of the Taj captured with red, blue and green filters, they could be placed in a Kromskop to produce a full color stereoscopic image of the monument. 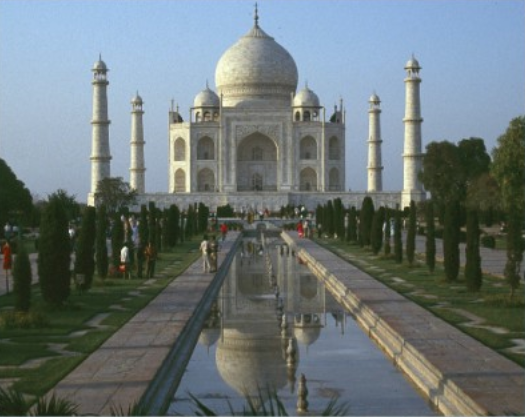 In the sense that the sky would appear blue, the trees would seem green and the Taj, a particular shade of white. "But it will lead to major errors in the reproduction of colors," Kumar said. Images are often at the mercy of a photographer's subjective judgment. Using color photographs will be no good either because the early variant of the technology was based on dyes. "Most dyes are sensitive to oxygen, moisture and ultraviolet rays," Arpan Mukherjee, an associate professor of printmaking at the Visva Bharati University, Santiniketan, told The Wire. "So they will not be an ideal reference." This meandering path for assessing color comes with a slew of problems. Images are often at the mercy of a photographer's subjective judgment. "It is important to know whether the reference image was taken for documenting the monument or if it was shot to highlight its aesthetic appeal," according to Mukherjee. But Arya says that even if we knew all these variables, it will be difficult to rule out color bias. When documenting important works of history, most photographers use standard-issue greyscale strips and color strips to ensure exact that the object's colors are depicted exactly in the photograph. This minimizes both printer's bias and the device bias in color reproduction. There is no similar standard for black and white photography. So it is unclear why the ASI has hedged its bet on photography to decipher the Taj's true colors — especially when they could also study the marble used to build the Taj. Because while photographs only serve as a proxy to what-could-have-been-the-color of the monument, the marble itself has all the required color information. When the marble surface is eroded by acid rain, the latter creates tiny microscopic sites where soot, rust, algae and other discoloring agents can gain a foothold, Sambuddha Misra, a geochemist at the Indian Institute of Science, Bengaluru, explained. Yet the rock below the discolored coating is safe. "Etching the surface with a weak acid would be the easiest way to determine the true color of the marble," Mishra told The Wire. Otherwise, he advises "cracking open a small piece of rock." 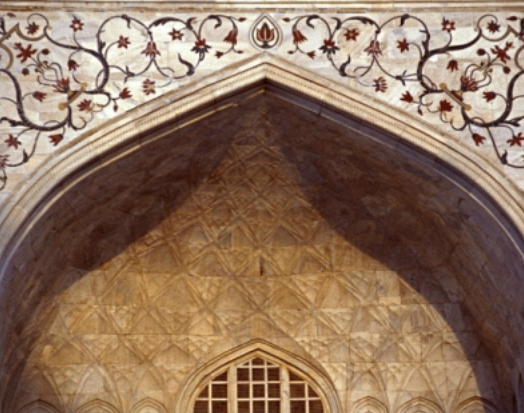 When asked why the ASI is not considering this way out, a senior official who wished to remain unnamed said it would be unfair to compare unexposed marble pieces with the stone of the Taj, which has undergone natural weathering over the years. But if the target is to determine the actual color of the Taj, using the unexposed marble pieces as a reference appears more objective. It is certainly more tenable than using black and white pictures that lack color information. In light of the technological advancements that have ousted color stereography, Arya asks, as if rebutting Sharma's assertion, "Using pictures to determine colors — is that even scientific?"